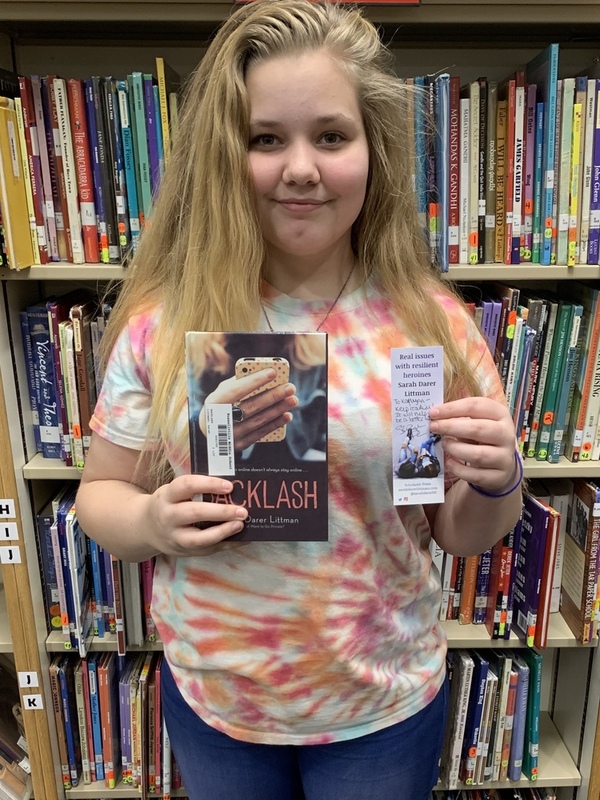 7th grader Kaytlynn Cartegena wrote Young Adult author Sarah Darer Littman after reading one of her books, Backlash, right before Christmas Break. 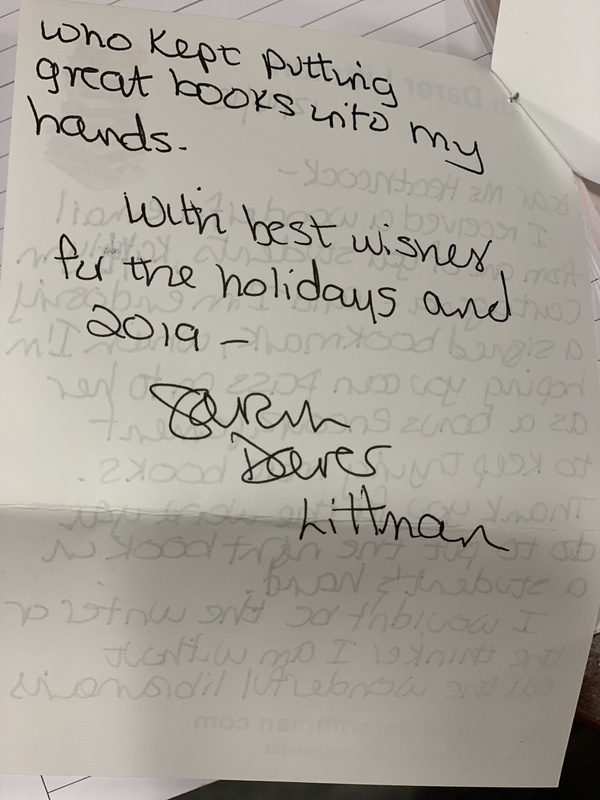 Littman responded to Katelynn's email, looked me up as the RMS librarian, and sent me a handwritten note to the school. 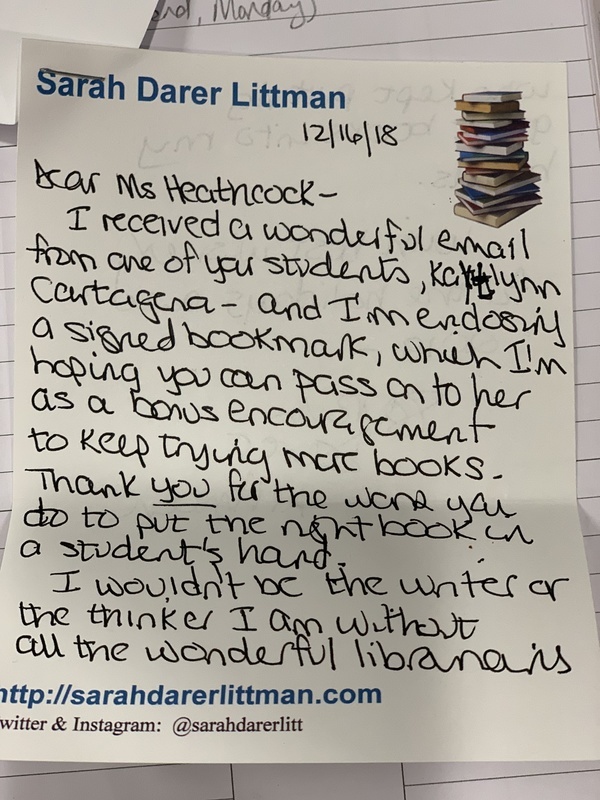 Enclosed was a signed bookmark for Kaytlynn encouraging her to keep reading and writing. What an honor for RMS! Way to take initiative, Kaytlynn!